1 During the preparatory age of beings (from 1 to 23 years old), the abnormal educational system ‘destroys’ rather than building them, prevents rather than crystallizing a psyche order capable of seeing the real world. The ‘subject matter’ does not lead the ‘mentation’ to the right school - to people capable of seeing the real world. It is like the blind leading the blind. Because of our abnormal education and the state interference on education, the chance of an individual receiving the right kind of education is very low. And yet there is a possibility of meeting the ‘right school’ despite all prevailing obstacles from the existing formal education. Automation educationalists worship all kinds of knowledge and implement them wherever they thought would serve their interest. But they must be driver-passengers with supporters and fighters to achieve this goal. 2 The passage of organizational education from the first year of learning to the last year of severance at the university is by no means the only inputs capable of producing great knowledge. An ordinary Ph. D holder is at the threshold of Great Man who normally originates from esoteric schools. In view of the fact that some essence books are often left untouched at most universities due to the fear of a certain 'something', accessibility has to be very secretive and would be limited to the few gifted individuals. One might be knocking at the door of truth and yet be prevented from entering due to a number of forbidding forces from his inner and outer worlds, and by others. Education in modern society is two-fold, the visible and the invisible. The qualification for this 'invisible' school is more difficult than any qualification required by any university. The esoteric school is the invisible school in a bourgeois society. It is the only school that genuinely trains and builds the complete individuals. Learning can happen anywhere, not necessarily in a school or university. The implication of this statement is that our education is never confined to a place or a program. It is aware of the inner school that is a product of great men. It mystifies human comprehension. Such a school trains an entirely different type of pupils. A communist professor or a Fourth Way professor or any naturally evolved professor is not created in the existing contemporary university although he might linger around in a university proper. A communist professor is a person of different dimension. A communist is again different from a communist professor. He is a product of capitalism and a change agent for capitalistic organizations. He is a natural and necessary change agent of the sociocosmos. 3 A school is a factory is a school. A school looks like a factory, a large-scale production workshop of brains-processed students from natural brains of young human beings by brain-washing, indoctrination and conditioning learning methods; a factory also looks like a school, a place providing industrial trainings and education of the real world of production. 4 Under the “evil” contemporary education (or modern factory for manufacturing trained three-brained beings on a large scale for organizational usage) that is very likely to be under the influence of a certain school of thoughts, the life flow pattern of the pupils are diverted and channeled along ‘lines’ (mechanical apparatus) fixed by the school, the very school that gains the upper hand in social antagonisms. And the ‘action’ of these ‘automatons’ have put humanity into a state of doldrums. All the useful ‘flows of life’ become channeled from the empty into the empty. By the time contemporary people touches on the right line, this ‘flow-of-life’ is almost gone. Something has to be done to this disorder to improve society. 5 In Objective Reason, the motor-reflex language of the intellectual center is ‘tuned’ with the feeding center. This motor-reflex language is non-material and it comes from the psychic energies of the centers. The ‘I’ must steer and control the language of the intellectual center. This ‘I’ must be our own ‘I’ and not someone else. The movement of language whether in sound or written forms should, for the sake of psychological health, be tuned to other centers as well, especially the feeling center. The books in our contemporary educational system, really denote the ‘motor-flexes’ of the intellectual center. There is no engineering, medicine and science but a consequence of the flow of the ‘motor-reflexes’ of the intellectual center mirroring something in the reality. The language system can be changed and the essence of engineering, medicine and science could still be retained. It is like twisting our physical body this way and that way, but here it is like twisting the intellectual center (or a Gong-Fu of the intellectual center). Writings are reflections of mind Gong-Fu. What is over-looked in the contemporary educational system is that these mediocre educationalists do not realized the importance of the laws of thought. They arrange all kinds of time-tables, textbook motor-reflexes, giving them all kinds of headings forcing the heads to conform to that order without even realizing that they are the ‘motor-reflexes’ of an intellectual center of ordinary people, who often make a lot of mistakes and who use all kinds of subjective images and logical motor-reflexes to connect this with that and that with this. The pupils must dance on this tune too. In the end there is no genuine comprehension both by the pupils as well as by what is called automation lecturers. Very soon these become the languages of the confusion of the tongue in the whole system of knowledge. In such a confusion of the tongue, it is therefore possible to mislead many individuals. But here our gentlemen, very unfortunately, share the same illusion of believing the educational system to be the only source of knowledge. They have not sensed the truth of the very system itself until they heard that some ‘real knowledge is born? And this ‘real knowledge’ according to my conviction may be quite numerous by ‘1976’ and even comparatively better than the old educational motor-reflexes proceeding-within-the-intellectual-centers-of-the-producers-of-the-textbooks. 6 First we must develop ourselves multi-dimensionally’, then we must be able to see the ‘compartment’ in the mind of our neighbors. A person may issue only in the compartment he is in. 7 The impression food from persistent reflection of the sacred book called Al Quran, and repeated communion of spirit, leads to a common ‘brotherhood’ called Islamic Brotherhood. The result is institutionalization - a school is formed. In this school, three-centered beings educate their new members through the so-called compulsory education, which is prevalent in my time. Sensing and seeing these committed ants-on-work for their school, I too as you know, jack of a trades master of none, bought the so-called holy book and started ‘sensing and seeing’ the book. I did not fail to see many other schools and one such peculiar school is the dollar school’ which is very powerful and make a name for itself. During the period of my existence, esoteric schools are almost not existent. There are really no 7th level religious schools. 8 Now, concerning this walled being-oskiano or education, it is, according to our most ‘accurate’ ever holy calculation under the manipulation of the second school called ‘dollar school’, just one also belonging to the vibration of the fourth sociocosmic stopinder. The beings in this school have their psyche divided into two parts ‑ an internal and an external part. The internal part is designated as ‘dollar’ and the external part, ‘manifestation of appearances in the converse of dollar’. Everything useful to the dollar school will be wiseacredly preached, and the preaching must always train beings of the younger generation to serve this dollar school. Havatvernoning of all manifestations serves this purpose, and you have many more to discover. At first, Yoga, Hinduism, Buddhism, and the like, started off from the good, but somehow, the dollar school began to use them for what is called their purposes. And so you see, ‘something’ must be altered in them, interpreted and reinterpreted to become useful to the dollar notion and to enslavement of beings similar and dissimilar to themselves. Some of them or rather most of them, after receiving doses of such vibration-opium, whether doctoring and engineering opium, begin to become what is called ‘horses’. They lose their ‘I’s and soon beg for more opium, and this is how ‘horses’ are hypnotized into really good ‘horses’. Someone else becomes your ‘I’; it cannot be good or else why called them ‘vegetative being-matters’. And according also to our survey of the real situation in our sociocosmic creation, these alien ‘I’s can be truly uncaring. So you see, submerged in the world of knowledge, there is this still this unsettled problem, the problem of letting a passenger becoming your ‘I’. As the rascal brain of mine which always wiseacres and habitually uses doses of ‘vibration-words’ called doctor, engineer, professor, scientist, philosopher and the like, for my most esteem credulous listeners. Surely, I will go on glorifying it irrespective of whether I can ask him to do something for me or not. Whether you say ‘doctoring’, ‘engineering’, or ‘philosophizing’, all these only disappear into the moving center during sacred ‘doings’. Such is the enigma of the moving center practice, and practice cannot happen but in the moving center of man. These beings often indulge in too much of intellectual motoring which clouds their ability to see situations clearly. And thus, they ‘enter’ the open-mouth of a tiger, and yet, as I have already mentioned before, incapable of seeing it. And why? As I should warn you, their psychic evolution has not reached the stage of seeing the real world as it is. The student produces the ‘piece’ specified by the educational system that sees its own infallibility. This system claims itself to be the indisputable representative of all human ideals. In like manner after the conquest of power the ‘school’ of the new era would take over education to serve the needs of the new society. They want ‘writings’ that serve their subjective interest because it strengthens their positions. Social writings of all levels are often made illegal if they disagree with the prevailing power. They reciprocally evaluate one another, and the powerful ones give an evaluation for ‘writings’ that serve the interest of themselves. One wonders why some subjects become more important than others, why religious studies, so-called history and moral studies are valued by one society and not another. 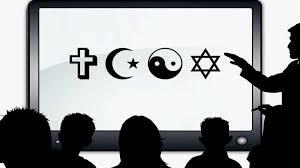 Those who can produce ‘religion’ in schools are often given the ‘passport’ to jobs. Even science and mathematics could be made to appear small. The power-possessing group, as we shall see, will never allow these subjects to serve the interests of its ‘enemy’. They will re-write and recruit special people for every subject. The subjects would be taught by ‘pupils’ specially trained from their recognized schools though the task is difficult and quite stupid. The teachers may be looked upon as the professional workers for such a service production. It must please the souls of that class before they are rewarded, otherwise, they will be gradually castrated. When there is a demand for religion, there is a demand for its existence. As a matter of deduction, no demand means no production, as our capitalist society operates on the laws of supply and demand. But our capitalist political ideologists are far more cunning. They will create artificial demand for ‘subject-which-pupils-must -study-and-produce’. And by ‘wiseacring’ with money picked up from here and there, for themselves and for their class, they are willing to give a process for the ‘rubbish’ gust for the sake of esteem glorification. Often they become very demanding, demanding the seller to pay and give the goods to the buyer. They called themselves ‘educator’ but are actually the slave drivers struggling hard to please political ideologist. Schools appear and disappear, come and go visibly and invisibly. There are hundreds of schools; some are the same, others are different. A school normally does not want to become visible. If it becomes visible it could be detected by other schools and may be destroyed. Within a school, there should always be self-cleansing and renewal. Otherwise, dust will accumulate and the social organism will become unhealthy. 9 This phenomenon of ‘not-to-read-buy-or-keep-any-textbooks-from-other-schools’ has been a silent disease of human identification. When I observed what went on in South Vietnam after its fall to the reds, there is also a gradual change in the literary dimension. Many useless enemy textbooks were set aside and new textbooks sprouted like beans almost immediately. Thus, the reds shipped new textbooks to strengthen its oskiano positioning in countries within their control. 10 Without been trained by a ‘school’, contemporary men enter and leave a school without being aware of it. They become unconsciously leftists one day and rightists another day; they become good one day and bad another day. People trained by a school appear in all social organs, and they will recruit new cadres and are responsible for the continuity of the school. These schools are different from the ordinary ‘schools’ we know. This school arises as a result of a sociocosmic need. In so far as our view is concerned, only the good books are to be retained while a majority of them are to be discarded. It is the people who must criticize the books and get rid of the rubbish. By preventing people from criticizing the books and forces mankind to worship books, new species of psychopaths is created. Now this educational system is fast becoming obsolete. Talent can be wasted by these so-called educators from the state or from a mediocre autocratic institution. Never mind about the great ‘mentating terminologies’ in this abnormal educational system. There is nothing there but representations of previous mentation, some already out-of-date but because the beings are themselves abnormal. They insist that some of these out-of-date pieces should be re-mentated. Beings there called them useful impractical ideas. The idea of application remains peculiar and incomprehensible. A person who consumes bon ton also outputs bon ton. Certificate functions as an instrument for both the giver and the recipient. However, the value of the certificate degenerates in time. A popular crystallized rule is the rule known as ‘associating-intelligence-and-wisdom-to-certificate’. This crystallized rule becomes useful for a marketer. The red school of the 50’s altered tremendously the educational philosophy in a disturbing manner. There is reclassification, reinterpretation and change in both the form and content of education. But a red school is only a transitional school similar to the organizations of a bourgeois school. Paper chase often becomes an obstacle to higher level achievement. With such a certificate, a fool is often offered a high post. The certificate becomes an organizational supported license. The emergence of more and more subjects, the elimination of some subjects and the upgrading of the contents are indications of the aliveness of the dialectics in the organizational production of knowledge and human psychic aliveness. 11 Textbooks are more exoteric than esoteric. 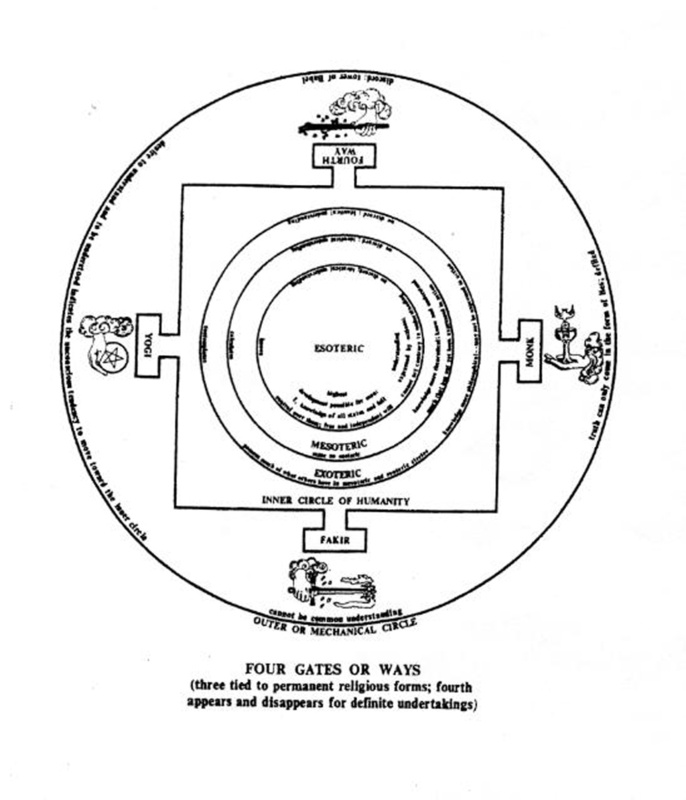 What essence men had said and written are re-said and re-written by people of the exoteric circle. 12 The existing educational system is not neutral. The behavior of knowledge flow is dubious (something to hide) reaching its height when the octave note C is reached. When this note is reached, ideas would flow in dubious directions. Note C is a time-bomb affecting man's many inner centers. Coming to writing or speaking on issues near note C, this strange experience suddenly surge and cause this strange behavior in the flow of knowledge. For this reason, our gentleman education looks dubious. Whether they could recognize this note C knowledge depends on what they have in their being. 13 History is written to be his story, which is my story of his story. And this “his” is just any sociocosmic concentration chance growing and breeding on planet Earth known there as Mr. So-and-So, family So-and-So, clique So-and-So, company This-and-That, Government This-and-That, Country This-and-That, the world This-and-That. The story must be made real and yet dubious in nature. History insists truths but its unfolding into the future puts it always in past participle. Predicting history is therefore possible. 14 What do you think of freedom of education and school class? “I am thinking I am free, because I am not in an other ....” (Hegel's Phenomenology of Mind). But here, your thinking is not free, especially in the maleficent educational system. Your thinking is conditioned in an other-of-you. What you have said must be judged. And in judgment, those living beings can do as they like based on their prevailing impulses when making decisions. And as you see, the present educational system consists mostly of Hasnamussian beings whose big head-minds are active in the exoteric knowledge. Their method of decision-making arises from special Hasnamussian educational training whose textbooks are written also by the ‘blind-leading-the-blind’ and beings get nowhere. If you are to be trained under this educational system, you have to adjust your mind to this Hasnamussian order thus sacrificing your freedom. 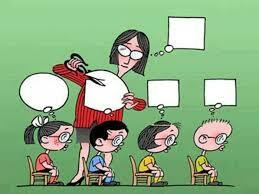 Where then is the freedom of thought in our formal education system? The freedom is limited and subjected to strong examination constraints. Just simply choose this or that book for small boys to mug but insofar as our group recognizes it to be agreeable to the general functioning of the whole of our being. 16 The proletariat, the bourgeoisie and the peasants, the upper, the middle and the lower class, and the workers, the farmers, the soldiers and the students are sociocosmic qualitative active sociocosmic stopinder beings. 17 I watch, I look, I see every day that maleficent system of education practiced bureaucratically by equally maleficent beings of authority and power-possessing beings. Like peacocks, these beings show now and then the colors of their tails. After such pondering on the causes of the arising of such a system, I soon noticed, that it is the work of people who are themselves automatons and who, as you shall see, are indifferent to humanity and who are too selfish in essence but unselfish in appearance. Now and then they speak of ‘training and experience’ and look down of the untrained beings. At first, I thought, with my small less developed brain, on the ‘wonderful’ ability of social organization that they claimed to be ‘experts’. Soon I began to understand the cause of the inability for the advent of talents and genius. The teacher comes into the class, gives a talk, followed by scolding and punishment. Then he gives the pupils some homework and threatens them with punishment if the work is not done the next day. The students will sit on the chairs for five to six hours a day. Tomorrow, the same thing would be repeated. A majority becomes restless, and the teachers as well as the HM (headmaster) would punish them. These top management beings are helplessly lost in the artificial organization in the education system. The subject offered resembles the menus in a restaurant. A restaurant can only give the menu it has and knows. So this maleficent educational system goes on and on with its own menu. No one cares what to do about it. A few of these pupils is selected, the others cast out. There is an ‘elite’ group playing tricks on the ‘illiterate’. Then some other schools that are in my view, far more advanced and realistic, but must remain hidden. And you think there is freedom of education in a democracy? That will be rubbish! Professors who want their names and dignity speak the truth! The illiterate dares to challenge the professors. 18 Physical education should be transformed into the science of the moving center; arts the science of feeling center; and mathematical and special sciences, the science of intellectual center. This important need of ‘developing man’ is almost missing in our educational system. 19 As I have already mentioned, this qualification upgrading as condition for securing higher wages, higher status, and passenger-driver position in the organizational hierarchy has become so abnormally demanded that the esteem kundabuffer concentration has also become very concentrated. Thanks to the existence of this maleficent qualification condition, the employees are always kept within the stipulated confinement. When relationship is restructured, this qualification condition must change its character and made amendable. It must take a different form, a form with a sense of ‘common-brotherhood’ whereby appraisal measure becomes scientifically tied to actual work. And even this is only a transition to the real common brotherhood. Qualification would indicate stored investment value, knowledge and skill. 20 We must face problems. We must not evade them. The harder the problem the better it is. In fact, we should be prepared to solve the hardest problem in the world. 21 A mind would become dull when subjected to institutionalized and pressure. Such a mind cannot write freely and express its real creative potential. An alert mind would be able to recognized flaws in the expression. This very mind that has been processed through the education factory will soon lose its capability of sensing and seeing reality accurately and emanate creatively. Since the education authority has been so ignorant of the laws of thought, the institutionalized enforcement would, sooner or later, damage the thought apparatus. Now instead of seeing the real world, the mind is compelled to interpret what is written or said in the books and dare not venture beyond the boundary. 23 The industrialization and commercialization of educational service in the 1st decan of the Age of Aquarius removes all freedom of a true education. The service is trapped by the market demand itself. Students are compelled to learn by rote in a rigidly controlled environment just for the sake of passing exams. Hurried and high-pressured learning to excel in an examination within a limited time-frame threatens the survival of the inner life forces itself. Healthy natural thinking becomes impossible. 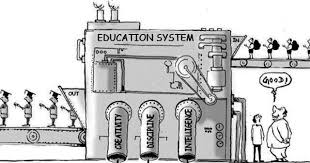 Thus, a great number of talents are ruined in this process of industrialization and commercialization of education. The future and the hope lies in the 2nd decan of Aquarius. 24 The question on the education of the young is of utmost important. Wherever a class becomes powerful, it always controls the educational system and directs it to serve its interest. From the impartial observation of the surrounding ill-fated educational system, I, could only see its conservative isolationism and a limited chance of being a truly great and well-known system. First, there is serious defect in the subject matter selected. Mediocre books are been used as reference. Good books are not available. Creative approach or a revolutionary approach to discovery or problem-solving is been treated with suspicion. Second, education resembles the blind leading-the-blind. Dedicated beings of knowledge are hardly available. Third, certificate outpaced true education and exam is the center of gravity. Fourth, “regulated” education that is state controlled. Fifth, the educational philosophy is too idealistic. It requires a peaceful mind, not a revolutionary mind to tick. Pupils are compelled to learn by rote memory. Critical learning is simply non-existence. Sixth, these gentlemen practice such maleficent educational system which is already something wrong i.e. not functioning properly. For the conservatives, who would protect the ‘static’ educational system and maintain its status quo that is its holy product of historical experiences, it is the daily bread that is of utmost important. What is wanted is the improved educational system through a revolution of its content. To revolutionize is to change content. And surely, it is an improvement because man has already detected the disease and is eliminating them. Revolution along the sociocosmic octave is not a ‘damage’. It is transformation. It is to add new life to a very important continuation of human destiny on this planet. Parasites can even cause humanity to become extinct. Be very watchful my dear gentleman, recognize ‘inertia-organisms’, those people who practice the ‘olds’, who are unrealistic, too luxurious, too greedy, too oppressive and too parasitic. Avoid classifying men in terms of the recognized qualification such as MBA, degree, doctorate, engineers, doctors, etc. Just see them as they are. See reality as it is. Using your natural instinct, you will soon be convinced of the absurdity of such a classification if you truly want to know the truth in man. 25 Ah! That gravity concentration of thought deposits artificially implanted into your body by the educational system so that they automatically unwind themselves as soon as they are tapped by a person, are capable of reducing the possibility of one’s seeing of the real world properly. 26 A child begins as a learner. He receives vibrations (or teaching) from his neighbors. If the neighbor is on the right path, the child has a ‘good’ passenger. If you give a person higher knowledge he can only absorb it at his own level. He may even say that you are trying to show off, when actually you are expanding higher knowledge. He will catch the wrong end of the stick. He may even harm you because of his own defect. 27 Two persons with a certain level of essence coming together will see, after contact for some time, the emergence of a scale difference between them. Generally, in solving real problems, the lower will tend to question the higher whilst the higher appears to answer; one appears to teach while the other receives. A teacher when meeting someone on a higher scale turns into a ‘pupil’ although in rank, it is possible to place the pupil on top and the master below. 29 Ah! Examination, kingdom, and negation - let me tell you that as they become controlled by the regulator-state, they lose their neutral stance. Under the management control of class and its state examination, the various disciplines in education face repressive pressures from these higher powers. Written materials are taken from reactionary theoreticians who, because of their comfortable lifestyles, produce large amount of bon tons for the pupils to drink to the full and get drunk in a hermetically sealed stupor. 30 This, that is, contemporary school is aimed at making the pupils not intelligent. It is my conviction the education consists of people who are ‘blind’ leaders, who only know a few types of intellectual gymnastics. They even ban good works! Some great works are banned notwithstanding the fact that the feeling-intellectual gymnastics of the brain of such men are operating at a high level. One is essence man who has done great services to the sociocosmos, whereas the others are more viruses that perish from the earth invisibly. We are comparing genius and automaton here. The type of education given by contemporary schools must be changed; only change can help the continuation of peaceful. 31 A materialistic religion is as greedy a religion as any other belief and value systems, whereas true materialism is of an entirely different nature and could be very much less greedy than religion. Of all the religions today, Buddhism is the freest; Islam appears to certain foreign observers to be the strictest. Education is never free from controls.